Music is a form of intellectual property protected, like literary and artistic works, under certain copyright laws. Whether it is printed or in the form of a recording, restrictions are in place to regulate musical reproduction and distribution. It is easy enough (and common) for someone to make a copy of a piece of sheet music or burn multiple copies of a compact disc. For musicians, this is the basis of an ongoing struggle --- illegal file-sharing can cost untold sums in profit. When users who would otherwise purchase a copy of music instead obtain it for free, the musician is cheated of profit. 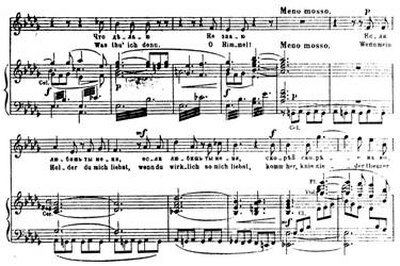 The right to make, distribute and sell copies of a musical work, whether a single piece or a collection, resides with the author or authors immediately upon its creation. If a musician has a contract with a production company or record label, the contract allows the company or label the right to distribute and sell the music, often for a specified length of time. According to the "Copyright Basics" handbook, published by the United States Copyright Office, a work is considered to be created when it is recorded or written, but this does not necessarily equate to publication. Publication is distribution. Music is considered to be created "when it is fixed in a copy or phonorecord for the first time." The Copyright Office defines a phonorecord as "the physical object in which works of authorship are embodied." This includes CDs, cassette tapes and vinyl records. At one time, for a musical work to be protected under copyright law, it had to be published with a copyright notice. The copyright notice on printed work, such as sheet music, includes the copyright symbol (©) along with the copyright owner's name and the year published. This is no longer required, but is a useful way to notify the public that the work is protected under copyright law. For sound recordings, the letter "P" in a circle, rather than the copyright "C" circle, is used along with the year published and the name of the copyright owner. According to the "Copyright Basics" handbook, a musical work that was placed in tangible form "on or after January 1, 1978 is automatically protected from the moment of its creation and is ordinarily given a term enduring for the author's life plus an additional 70 years after the author's death." For works with more than one creator, such as music recorded by a group, the 70-year period begins after the death of the last surviving creator. Because copyright law varies from country to country, no international copyright law exists. A musical work is protected under United States copyright law if at least one of its creators is a U.S. national or domiciled in the U.S. According to the "Copyright Basics" handbook, "most countries do offer protection to foreign works under certain conditions." While it is not a prerequisite of copyright protection that a work be registered with the U.S. Copyright Office, there are distinct advantages to doing so. Such benefits include, but are not limited to, the establishment of a public record and provisions of protective measures concerning copyright infringement. The "Copyright Basics" handbook states that "[r]egistration may be made at any time within the life of the copyright." Any work published in the United States has what is known as a mandatory deposit requirement. Legally, the copyright owner or the holder of the publication rights must, by law, deposit two copies (if printed music) or two phonorecords with the U.S. Copyright Office for holdings within the Library of Congress. Failure to publish is punishable by fines, but does not affect copyright protection. Certain exemptions apply. Reeser, Cynthia. "Music Copyright Rules." , https://legalbeagle.com/5044564-music-copyright-rules.html. Accessed 19 April 2019.